In recent years the number of firms offering employment-related background checks has exploded. 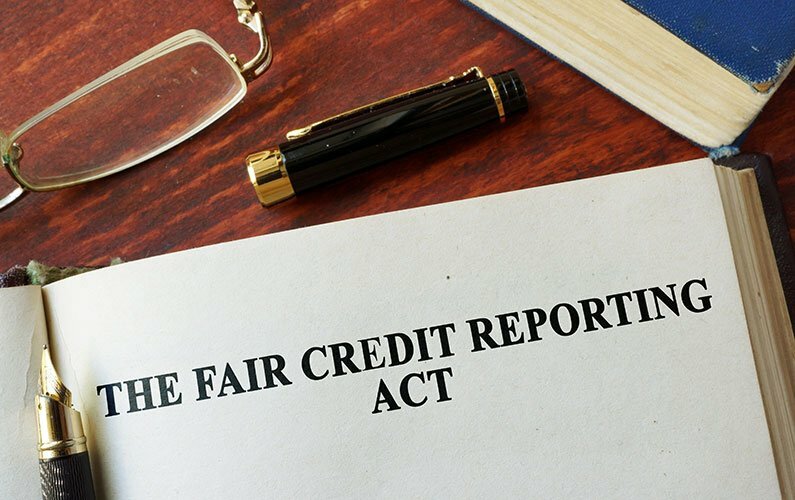 Many of these new firms, though well intentioned, are surprised to learn that they have been operating outside of the requirements of the federal law governing the use of background checks in the employment context – the Fair Credit Reporting Act. Many firms become aware of their compliance failures as they attend seminars such as the annual Pre-Employment Screeners Conference held each fall or the annual conference of the National Association of Professional Background Screeners held each spring. Others have their lack of compliance pointed out to them as they network with their peers online or as their clients’ legal counsel point out obvious issues. An unfortunate few recognize their lack of legal compliance too late when it is revealed in a courtroom. By offering the quiz below, I do not purport to offer a comprehensive guide to FCRA compliance. Nor do I attempt to approach the myriad state laws that address consumer reporting agencies. Nothing in this quiz should be taken as professional or legal advice – see your accountants, lawyers, and paid consultants for advice. That said, I hope that the quiz below and the answers are helpful in examining your understanding of very basic FCRA requirements. 2) Which of the following would constitute a consumer report under the FCRA if provided to an employer for a fee by a background-screening firm? a) A written report containing a criminal record found on a government agency’s public records website. b) A telephone call notifying the employer that the applicant has a criminal record. d) A written report that indicates that the applicant has no criminal record. e) A report reflecting that no records were found in a search of a “national” criminal records database. f) An employment verification received from an automated verification system. g) A report containing details of an interview with the applicant’s former supervisor. h) All of the above. 3) True or False: The employer must disclose on the employment application that a consumer report may be ordered. 4) True or False: A background-screening firm must have an authorization document signed by the employment applicant in hand before providing a background check to an employer. a) Verify that the record is accurate before reporting it to the employer. b) Provide a copy of the record to the applicant at the same time that the information is provided to the employer along with the name and address of the employer to whom the report is being provided. c) Include a disclaimer on the report that the information may not be accurate and that the employer should provide a copy of the report to the applicant prior to taking any adverse action based upon the report. d) Either A or B.
a) For up to seven years after completion of the sentence. b) For up to seven years after the finding of guilt. c) For up to eleven years after the finding of guilt. a) For up to seven years after the dismissal. b) For up to seven years after the beginning of probation. d) Dismissed cases cannot be reported. 8) Which of the following allows non-conviction records to be reported outside of the normal seven-year limitation? a) The applicant will be an officer or director of the employer’s firm. b) The applicant will be in a high-risk position providing care to children or the elderly. c) The applicant can reasonably be expected to earn $75,000 or more annually. d) The applicant has signed an authorization specifically allowing the background-screening firm to report older records. e) The employer has less than 20 employees. a) Provide a copy of the report to the applicant. b) Provide a copy of the Federal Trade Commission’s Summary of Consumer Rights to the applicant. c) Provide the name, address, and telephone number of the background-screening firm to the applicant. a) Provide the employer with a written dispute of the incorrect information. b) Provide the employer with an oral dispute of the incorrect information. c) Provide the background-screening firm with a written dispute of the incorrect information. d) Provide the background-screening firm with any notice (oral or written) of the incorrect information. 3) (b) False. The employer must disclose that a consumer report may be requested for employment purposes in a separate document that consists only of the disclosure – not in the small print at the end of the employment application. 4) (b) False. The employer must obtain the applicant’s written authorization prior to requesting a consumer report, however, the background-screening firm does not have to have a copy of the authorization in their files. 5) (d) Either A or B. The best practice in using databased public records is to verify the record with the court prior to reporting it to the employer. Our firm has found expunged criminal cases in the files of several criminal records databases. 6) (d) Forever. Remember, this quiz deals with the federal FCRA. Some states have more severe limitations on how long a criminal conviction can be reported (although the more recent Fair and Accurate Credit Transactions Act (FACTA) invalidated some states’ limitations). Talk to your lawyer! 7) (a) For up to seven years after the dismissal. Most potentially adverse information, other than criminal convictions, can be reported for up to seven years following the final action on the case. 8) (c) The applicant can reasonably be expected to earn $75,000 or more annually. Though (a) and (b) both make good sense, this is federal law we’re talking about – good sense rarely applies. 9) (d) A and B. Although it does make a lot of sense to do so and certainly we encourage our clients to do so, there is no requirement that the employer provide the background-screening firm’s contact information prior to taking adverse action against the applicant. 10) (c) Provide the background-screening firm with a written dispute of the incorrect information. Remember that the responsibility to reinvestigate the dispute belongs to the background-screening firm, not the employer or the applicant. This article was originally published in The Background Investigator, a monthly journal for the pre-employment screening industry.